[PAST EVENT] 2019 WMCI Distinguished Scholar Lecture: "U.S.- China Relations at a Strategic Crossroads"
The William & Mary Confucius Institute is honored to have the renowned scholar Bonnie Glaser, Senior Adviser for Asia and Director of the China Power Project at the Center for Strategic & International Studies to deliver this year's WMCI Distinguished Scholar Lecture. 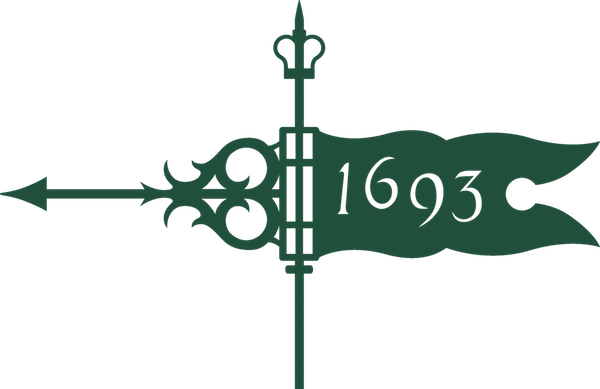 Ms. Glaser's work relates primarily to Asia-Pacific Security with a focus on Chinese foreign and security policy. contentious in the past several years. Strategic competition has become the dominant feature in the bilateral relationship, while cooperation has diminished. The Trump administration has labeled China a strategic competitor, a rival, and a revisionist power in its official documents. President Trump placed tariffs on $250 billion worth of Chinese goods and China responded in kind. In recent months, scholars and pundits have asked whether the two countries are on a path to a new Cold War or even a military conflict. The bilateral relationship is arguably at a strategic crossroads. 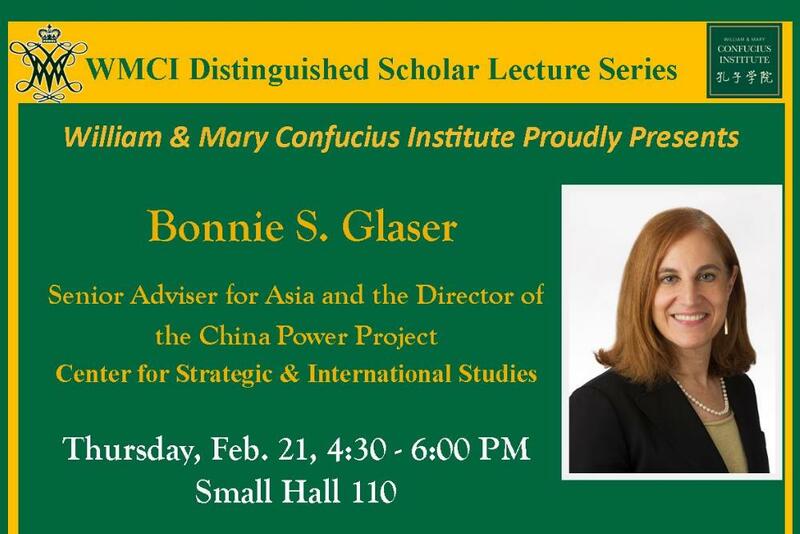 Ms. Glaser will examine the reasons that friction is growing in U.S.-China relations and explore potential pathways for the most consequential relationship in the world.